The Moose is headed to Cooperstown. Also headed to the Hall: ex-Yankee closer Mariano Rivera, former Seattle DH Edgar Martinez and the late Roy Halladay. WASHINGTON — The Moose is headed to Cooperstown. Former Orioles pitcher Mike Mussina has been voted into Baseball’s Hall of Fame, reaching Cooperstown in his sixth year of eligibility. Also headed to the Hall: ex-Yankee closer Mariano Rivera, former Seattle DH Edgar Martinez and the late Roy Halladay. Rivera is baseball’s first unanimous Hall of Fame selection. The O’s drafted Mussina twice: in the 11th round of the 1987 MLB June Amateur Draft and in the 1st round (20th overall selection) of the 1990 draft. 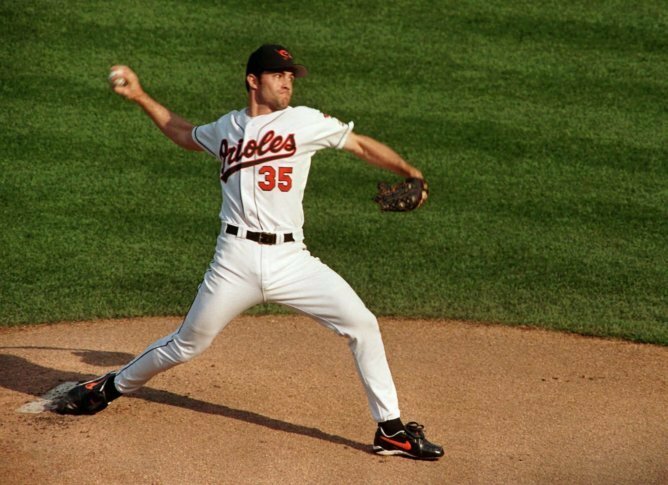 The Stanford-educated Mussina made his major league debut on August 4, 1991 and quickly became a fixture in the Orioles’ rotation. From 1992-99 the right-hander averaged over 30 starts and 16 wins per season while being named an All Star five times. After an 11-15, 3.79 ERA campaign in 2000 Mussina signed as a free agent with the New York Yankees where he spent the remainder of his career. Mussina went 123-72 with a 3.88 ERA in eight seasons with the pinstripes, while posting a 147-81 mark and an ERA of 3.53 in ten years with the Orioles. His best finish in the Cy Young voting was in 1999 as runner-up to Boston’s Pedro Martinez.